Sir Thomas Cavendish was an English explorer and a privateer known as "The Navigator" because he was the first who deliberately tried to emulate Sir Francis Drake and raid the Spanish towns and ships in the Pacific and return by circumnavigating the globe. While members of Magellan's, Loaisa's, Drake's, and Loyola's expeditions had preceded Cavendish in circumnavigating the globe, it had not been their intent at the outset. His first trip and successful circumnavigation made him rich from captured Spanish gold, silk and treasure from the Pacific and the Philippines. His richest prize was the captured 600 ton sailing ship the Manila Galleon Santa Ana. 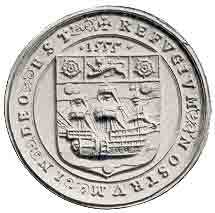 He was knighted by Queen Elizabeth I of England after his return. He later set out for a second raiding and circumnavigation trip but was not as fortunate and died at sea at the age of 31. Richard Chancellor was an English explorer and navigator; the first to penetrate to the White Sea and establish relations with Russia. 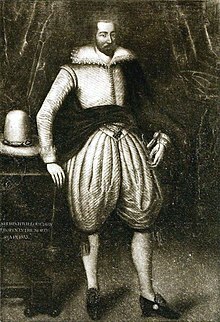 Robert Searle was one of the earliest and most active of the English buccaneers on Jamaica. Vardøya is an island in Vardø Municipality in Finnmark county, Norway. The 3.7-square-kilometre (1.4 sq mi) island is the location of the town of Vardø. The island sits about 1.5 kilometres (0.93 mi) east of the mainland Varanger Peninsula. The island is connected to the mainland by the Vardø Tunnel, the first subsea tunnel that was built in Norway. The tunnel is part of the European route E75 highway, which has its terminus at the town of Vardø. The small island of Hornøya is located just 1.5 kilometres (0.93 mi) to the northeast of Vardøya.